This article continues Fahrenheit’s series exploring business metrics relevant to the Software as a Service (SaaS) industry. Each article briefly explores a relevant SaaS key metric, including the definition, the applicable business contexts, and its use. The focus for this article is CLTV. Definition: CLTV refers to Customer Lifetime Value. CLTV is the average estimated value of a typical customer contract. There are a variety of ways to calculate CLTV, one common approach is as follows: average annual contract value * average customer lifespan (in years) * gross margin %. This amount is then discounted to its net present value using an appropriate discount rate. Note that average customer lifespan is typically imputed using customer churn rates. Applicable business context: CLTV is a key metric for SaaS companies with a subscription model, providing insight into product “stickiness” and the importance of optimizing customer retention/renewal rates. Use: When trended over several quarters, the CLTV quantifies economic impact of customer churn and provides insight into the importance of managing both customer margins and customer retention. Thus, CLTV reporting provides insight into the performance of the customer account management and customer support organizations as both organizations play a crucial role in generating and maintaining high margin and long tenure customer relationships. A deteriorating CLTV may signal customer expectation gaps, deteriorating product quality, customer service execution issues, or renewal pricing pressure. Timely CLTV reporting allows management to proactively source and respond to these and other dynamics negatively impacting the business. 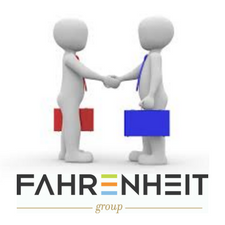 If your company’s scale is outpacing your processes, which in turn is causing growing pains, regular fire-drills, and reduced profitability, The Fahrenheit Group has professionals who can help. We understand your industry and your challenges and are experienced in working closely with management to drive your business to the next level of success. Please contact us to find out how we can help. Jonathan Kelley is a professional within our Finance and Advisory practices. He is a versatile finance professional specializing in providing finance and operations leadership to SaaS/PaaS, enterprise software, and professional services clients. He can be contacted at jkelley@fahrenheitadvisors.com or 919-523-2102.